Can a Credit Card Grace Period Help You Save On Interest? With credit cards, interest is a constant shadow that looms overhead. Just the thought of having even a slightly higher payment for the month is enough to bring any cardholder down. 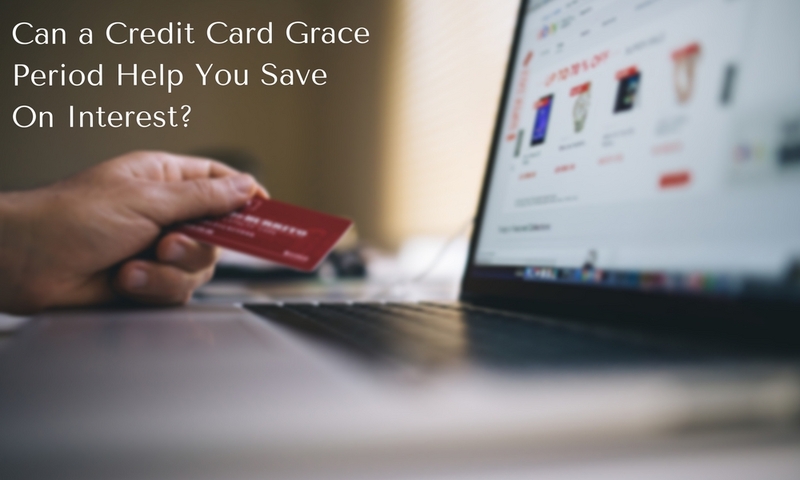 Thankfully, a credit card grace period could help you avoid interest and save money. Credit cards are not required to have a grace period, although almost all of them do. Credit cards that do have a grace period are required to send their cardholders a statement at least 21 days before the closing date. A credit card grace period is the time between the statement closing date and its due date. During this time, if a cardholder is able to pay their balance in full and on time, they will avoid interest charges. Basically, cardholders are accruing interest on all of their purchases, but they don’t see those charges if they pay their balance in full during their grace period. However, if they make a payment that’s less than the balance, they will see the interest. When someone doesn’t pay their balance in full, they will be charged interest on their average daily balance going back to the start of the statement. What if the grace period isn’t used? If a person is to leave even just $1 unpaid, it will start to accrue interest during the next billing cycle. On top of that, any purchase made will now immediately have interest charges added on to it. If you do lose your grace period, some cards require that you make two full payments to reinstate it. Carrying a balance can also leave you subject to trailing interest, or “residual interest.” This type of interest can build up on your balance before you have a chance to pay it off. Even if it says you’ve paid in full, you could still have residual interest looming on your balance. Knowing the statement’s closing date makes it easier to know when it’s best to make payments. Make purchases just after the closing date, as opposed to just before. This allows for more time to pay off the balance. If a grace period is lost, it’s best to get it back as soon as is possible for the cardholder. To do this, they should make a payment to cover the entire balance. Unfortunately, this won’t affect the interest already accrued, but it can make future purchases eligible for the grace period again. Sometimes a credit card has to hold a balance. When that happens, leave that card for balances that are going to have to be carried over. Have other cards that will be paid in full each statement. Do you have any questions regarding the credit card grace period and how you can use it to your advantage? Let us know. We’re here to help.